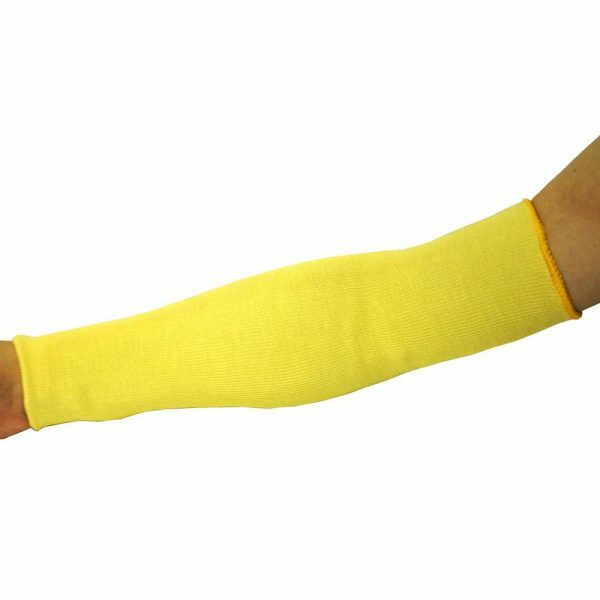 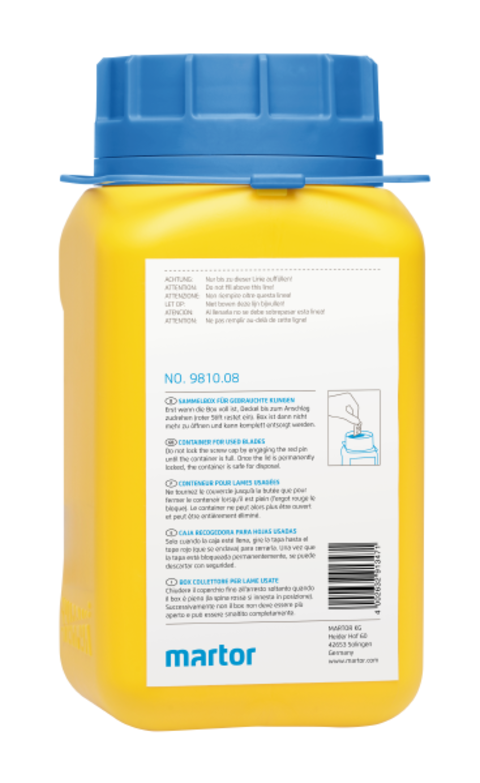 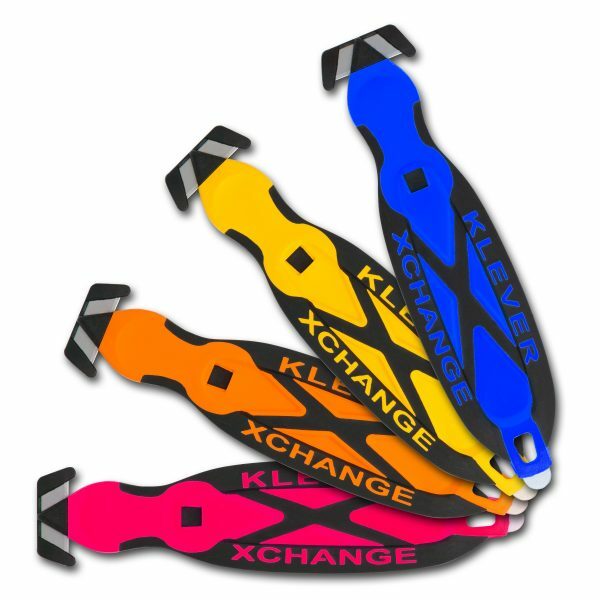 Available in Blue (KCJ-XC-40B), Yellow (KCJ-XC-40Y), Red (KCJ-XC-40R) and Orange (KCJ-XC-40G). 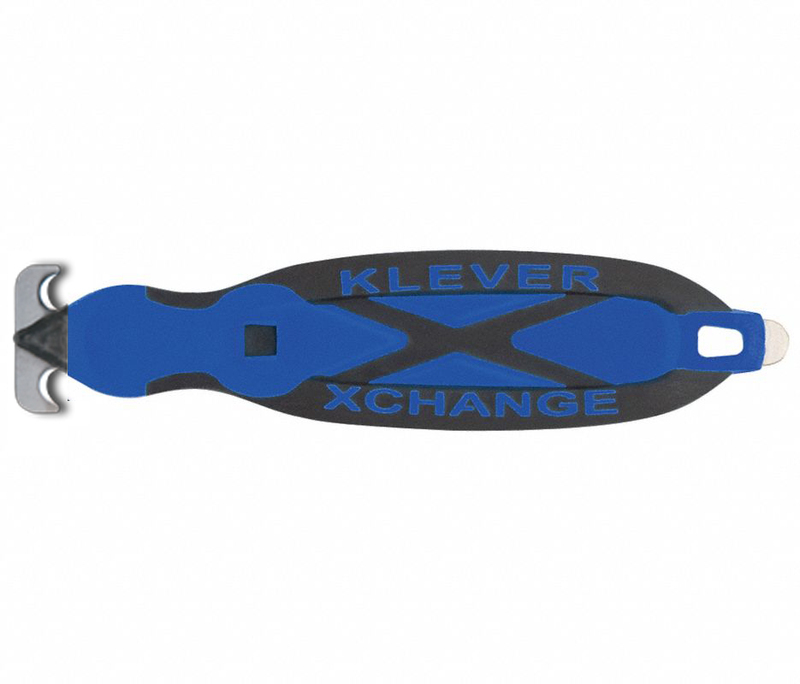 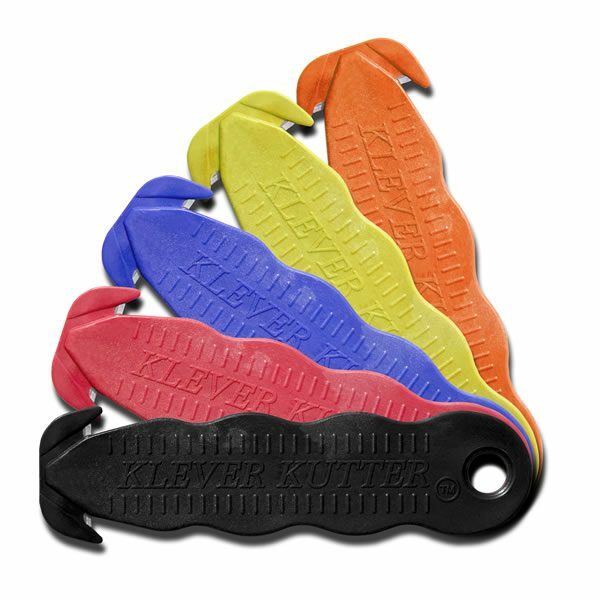 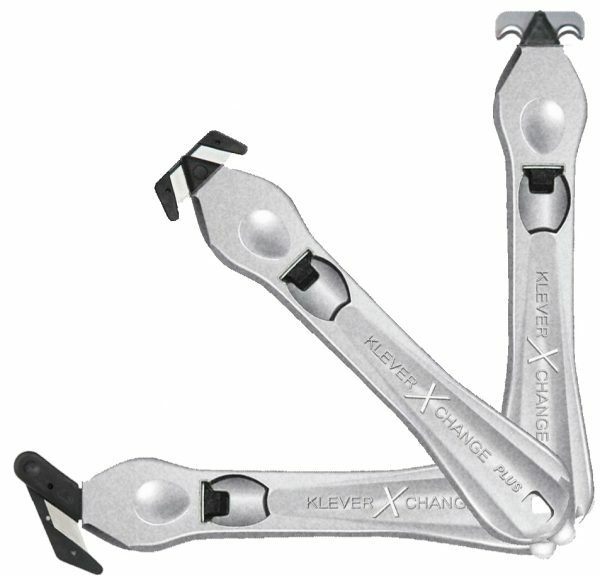 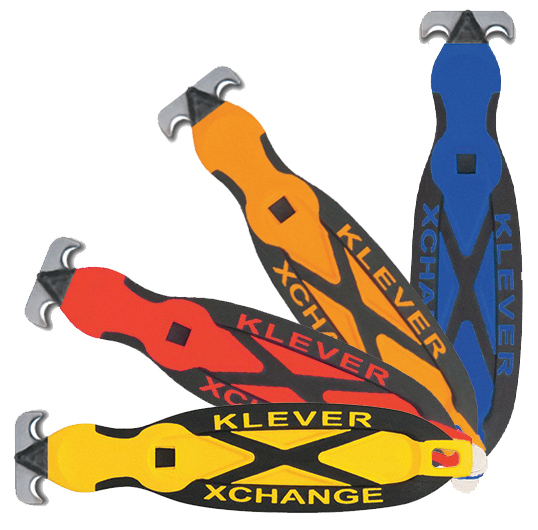 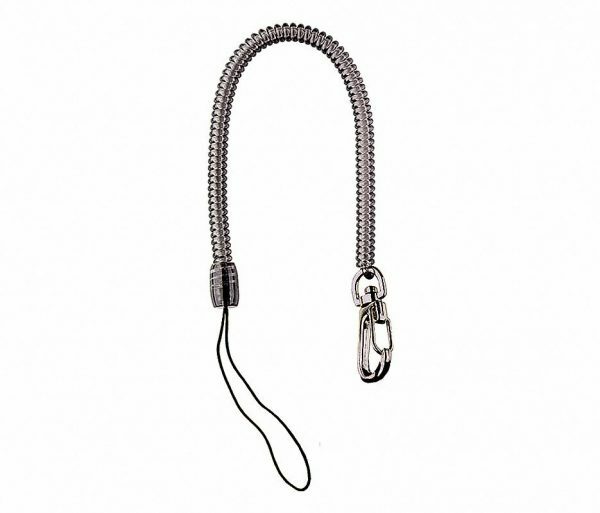 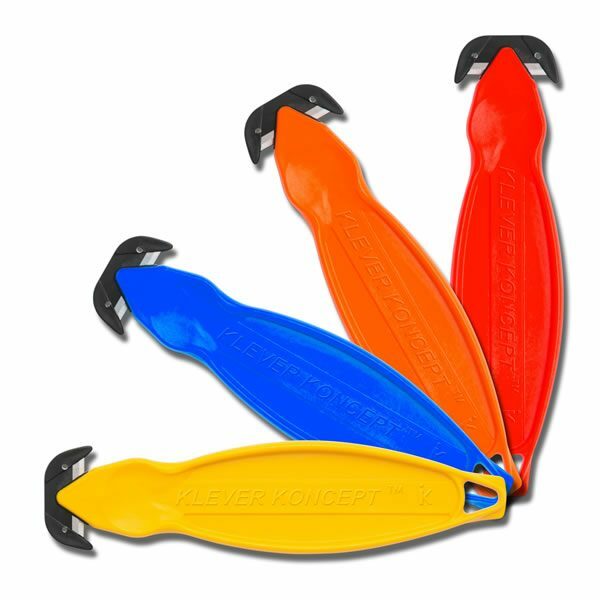 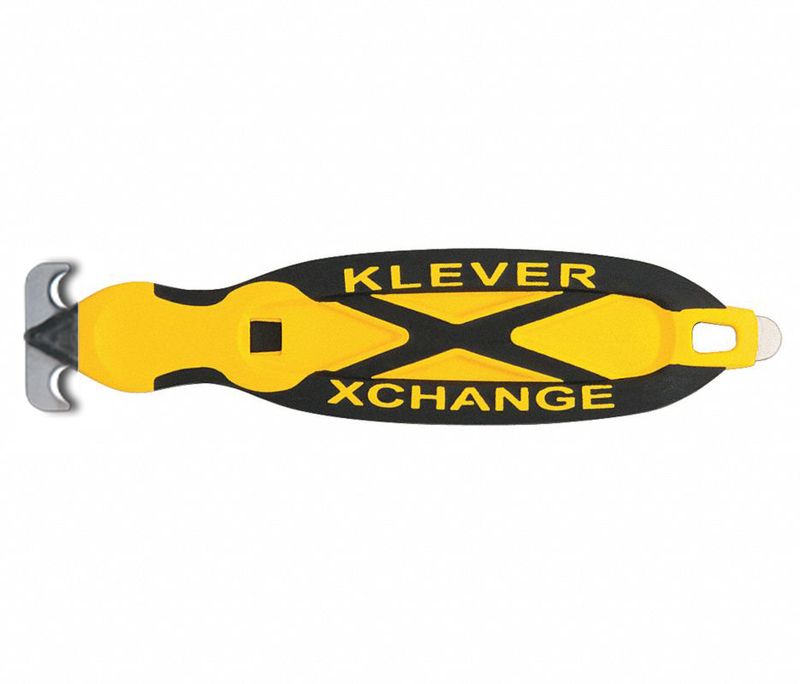 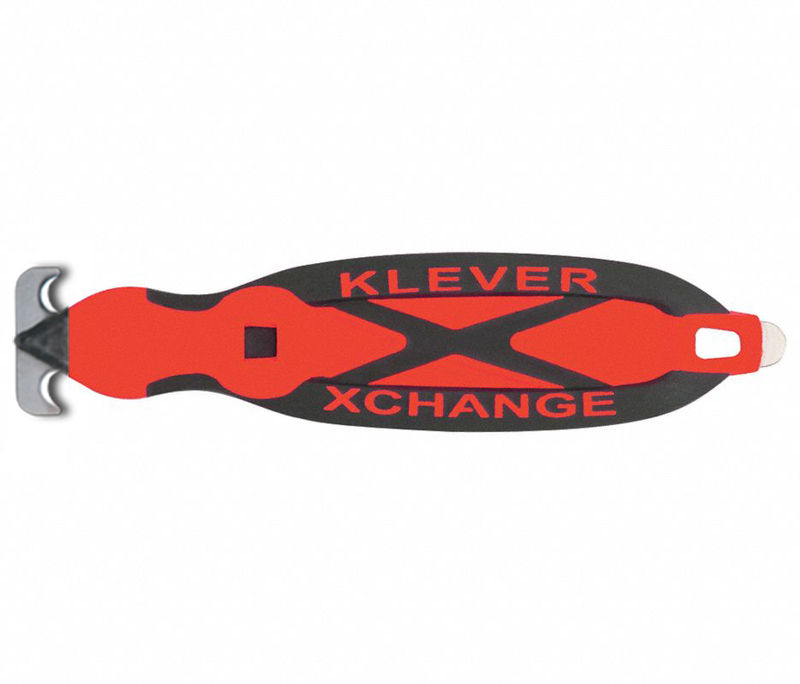 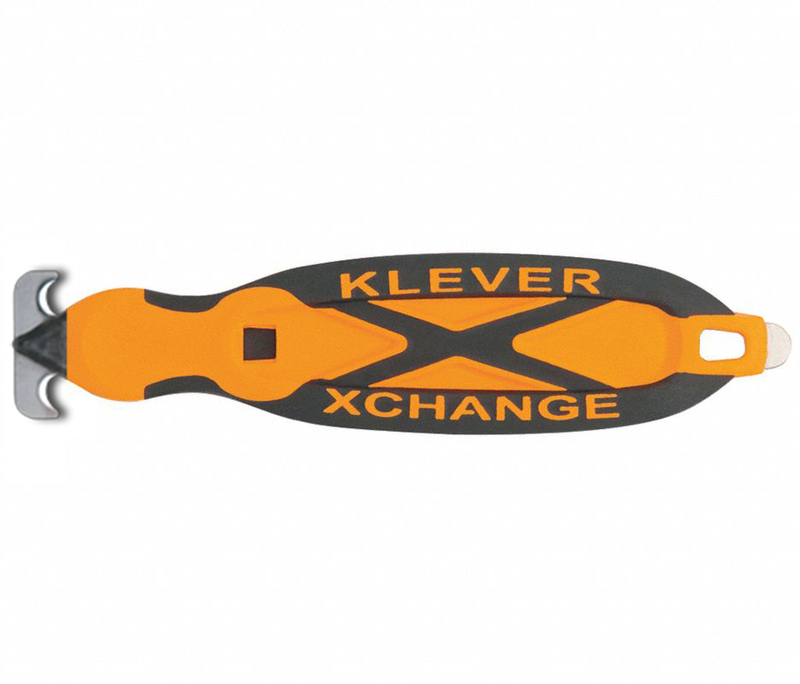 The KCJ-XC-40 Klever XChange with Metal Kurve blade safety cutter features a reusable handle and replaceable blade heads. 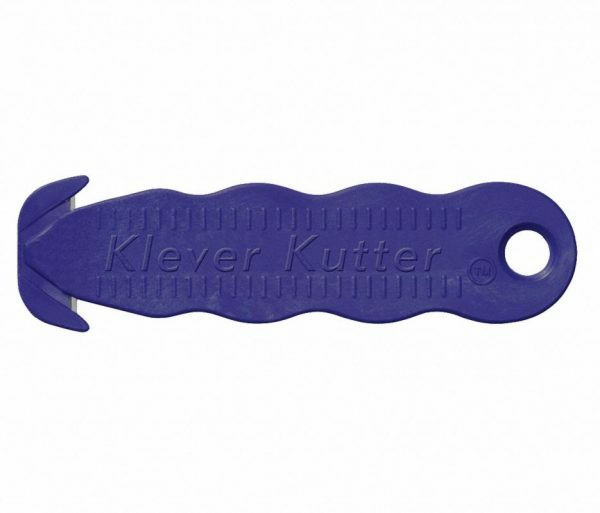 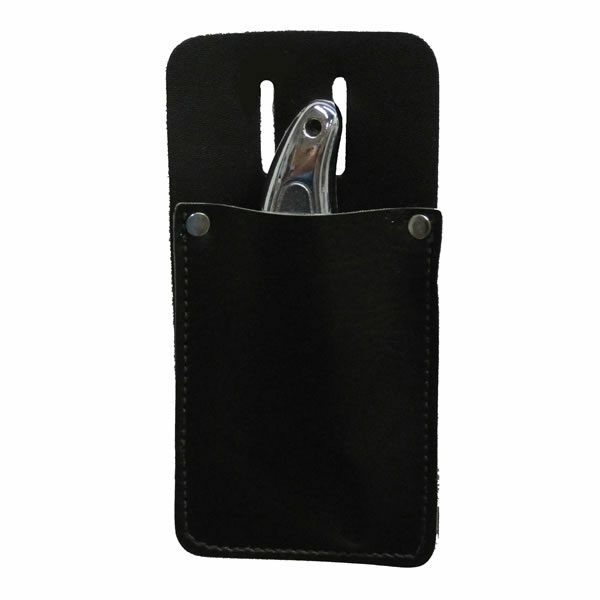 The blunt-tipped Kurve blade is a heavy duty blade designed for rigid plastic and sheeting, asphalt roofing shingles, plastic flash, heavy plastic bags, linoleum flooring, corrugated, rubber, carpeting and much more!